Does centrifical (sp? 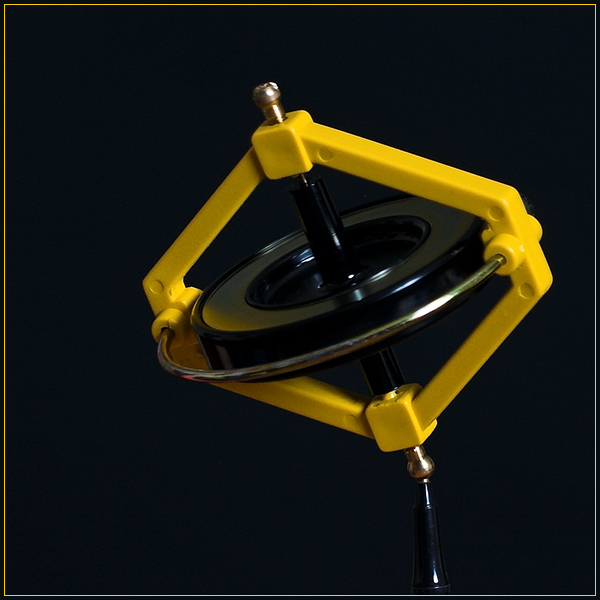 )force make this gyro balance while on an angle? Just wondering. Like the image...would be good in a school text book. I like the backround and the border. The topic though, does not appear to be spinning. Quite stationary in this shot. I don't even recognize the object. Sorry. cool shot, but nothing really here... no emotion. I think this may be more successful in front of a white background... I didn't notice the pen until I read the title. Proudly hosted by Sargasso Networks. Current Server Time: 04/20/2019 10:48:20 PM EDT.